THURSDAY, Feb. 9, 2017 (HealthDay News) -- College students seem to take longer to recover from concussion than the average in the United States, a new study suggests. Researchers reviewed the medical charts of 128 students who suffered a concussion during the 2014-2015 academic year at Northwestern University in Evanston, Ill. Their average age was 20. Forty-four students were varsity athletes and 33 played club sports. Another 34 played recreational sports, while 17 did not report any regular physical activity. Overall, the students took much longer to recover from a concussion than the national average of 7 to 14 days. But there were significant differences between the groups of students. Average recovery times were 11.5 days for varsity athletes and nearly 19 days for club athletes. Recreational athletes took nearly 23 days to recover from a concussion. These differences could be due to the amount of medical support the different groups received -- varsity athletes tend to receive more care, the researchers said. The study also found that females took longer to recover than males (nearly 21 days vs. nearly 15 days). And students with seizure disorders or prior concussions were more likely to take more than 28 days to recover. Graduate students took much longer to recover than undergraduates -- 31 days vs. 16 days. The study was scheduled to be presented this week at the annual meeting of the Association of Academic Physiatrists in Las Vegas. "Recovering from a concussion requires active rest and refraining from excessive physical and cognitive stimuli, such as contact sports, reading, writing and even the need for limitation of watching television and online activities," lead investigator Dr. Prakash Jayabalan, said in an association news release. "These are all things that the average college student encounters on a daily basis and will find challenging to limit. Therefore, our research team wanted to determine if recovery time for patients in a college setting is different from those people outside of that setting," he said. Jayabalan is an attending physician at the Rehabilitation Institute of Chicago, and an assistant professor at Northwestern's Feinberg School of Medicine. 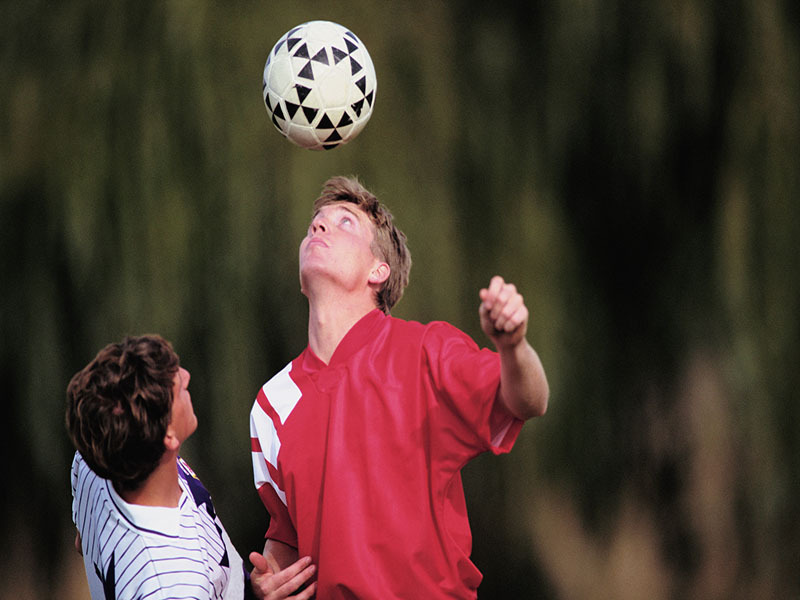 The findings "highlight the difficulty in treating collegiate students with concussions, due to both the academic rigors of institutions and the differing needs of student populations," he said. The study also gives doctors clues about who is more at risk of delayed recovery from a concussion. Factors such as level of sport, gender, year in school, athlete vs. non-athlete and other health conditions may affect outcomes. These factors need to be an important consideration for the physician managing college students with a concussion, Jayabalan said.